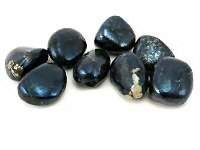 Covellite Tumbled Stone MEDIUMMartin Mee2019-01-02 https://www.ravenandcrone.com/catalog/images/covellite_tumbled_stone_tn.jpg Awesome covellite stones! Good sized and high quality! Celestite Tumbled Stone High QualityMartin Mee2019-01-02 https://www.ravenandcrone.com/catalog/images/celestite_polished_gemstone_tn.jpg Absolutely Gorgeous! Love these stones. AAA+++ quality! Morganite Tumbled Stone LARGEDebra Corvello2018-12-29 https://www.ravenandcrone.com/catalog/images/morganite_tumbled_stone_lg_tn.jpg A beautiful stone with such a soft and pretty color. You have such wonderful items! 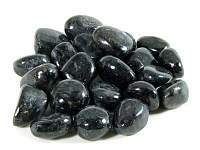 Thank you so m..
Arfvedsonite Tumbled Stone MediumDebra Corvello2018-12-29 https://www.ravenandcrone.com/catalog/images/arfvedsonite_tumbled_medium_tn.jpg Thank You so much! 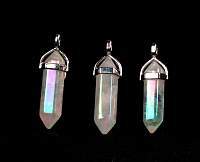 The stone and crystals that you carry a FABULOUS and sometimes are hard to find. 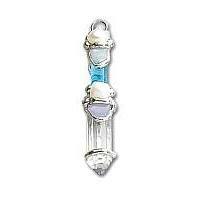 ..
Water Baby Wand PendantDanielle Boutilier2018-12-26 https://www.ravenandcrone.com/catalog/images/wand_pendant_water_md_elB3_tn.jpg Totally in love with all these wands I have purchased! RWPL14: Pagan Lignum Vitae Wand 14 inchPayne Hendrick2018-12-24 https://www.ravenandcrone.com/catalog/images/pagan_lignum_vitae_wand_rwpl14_tn.jpg Love the wand. It is well made, simple yet elegant and easy to hold. Highly recommend getting one.